Dumpster Systems - Scrap Systems, Inc. 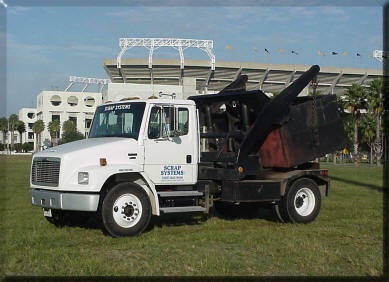 Scrap Systems, Inc. features several types and sizes of dumpster containers for all your scrap metal recycling needs. Our professional service will make your production scrap problems a thing of the past. Serving the Central Florida area for over 30 years.